Taco Loco Shelby Twp Review and menu info. Taco Loco Mexican Restaurant is located on Van Dyke Rd in Shelby Twp. It is a long-standing Mexican establishment in this city, but in my opinion, I’m not sure how. I equate my Taco Loco experience to that of El Charro’s. El Charro’s is a huge hit to many, but I can honestly say that not only am I not a fan, but I dislike it so much I would never go back. I took a lot of heat with my El Charro review because I was in disagreement with so many. I’m prepared to take that same backlash with Taco Loco Shelby Twp too. It’s a local hit, but I can definitely do without. The salsa, although they claim they make it fresh daily, was bland. I typically look forward to restaurant chips and salsa because you just can’t buy anything as good in the stores. But in this case, I prefer store bought salsa. I also disliked the atmosphere. I felt like I was packed into a VFW Hall. Many of the chairs and tables are in disrepair – most booths come with duct tape on the seats to cover up gashes in them. I ordered the fajitas and they were ok. My husband ordered the burrito and he said it was ok as well. We’ve definitely had better. Not trying to knock a local favorite, but we didn’t notice anything special with the food. But Taco Loco Shelby Twp has some good things going for it. Taco Loco serves up plenty of drinks – they have a great selection of skinny drinks, wines, beers, martinis, and… of course, margaritas. 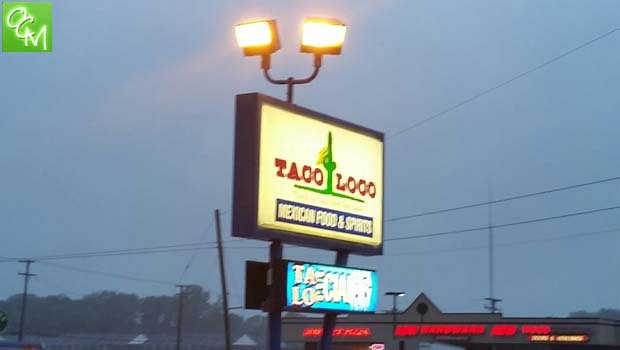 Taco Loco Shelby Twp Gluten Free recommendations are also mentioned on the menu and include… Fajita Dinners, Camarones Cognac, Grilled Avocado Chipotle Tilapia, Pollo Brochado, Mexican Tacos. Vegetarian options are also available. Taco Loco Shelby Twp has Lunch specials Monday – Saturday till 4p. Other Taco Loco Shelby Twp menu items include salads, tacos, burritos, fajitas, carnitas, puffy tacos, enchiladas, tamales, tostadas, chimichangas, quesadillas, and more. There are many options to choose from, but no a la carte selections. Maybe if you’d ask, they would accommodate, but it’s not on the menu. Taco Loco claims to be fresh and authentic with a festive atmosphere. Maybe they were fresh, maybe I don’t care for the authentic taste, and I didn’t see the “festive” atmosphere since we were not there during one of the live music performances. Taco Loco is usually fairly crowded so they’re obviously doing something right. But, one thing I can appreciate 100% is the claim that there are no preservatives, artificial flavors or fillers. I also sincerely appreciate their openness to gluten-free options on the menu. A big thank you for that!